New Zealand Cricket chief executive David White said there had been a "joint decision" to call off the third test, which had been scheduled to start Saturday in Christchurch. 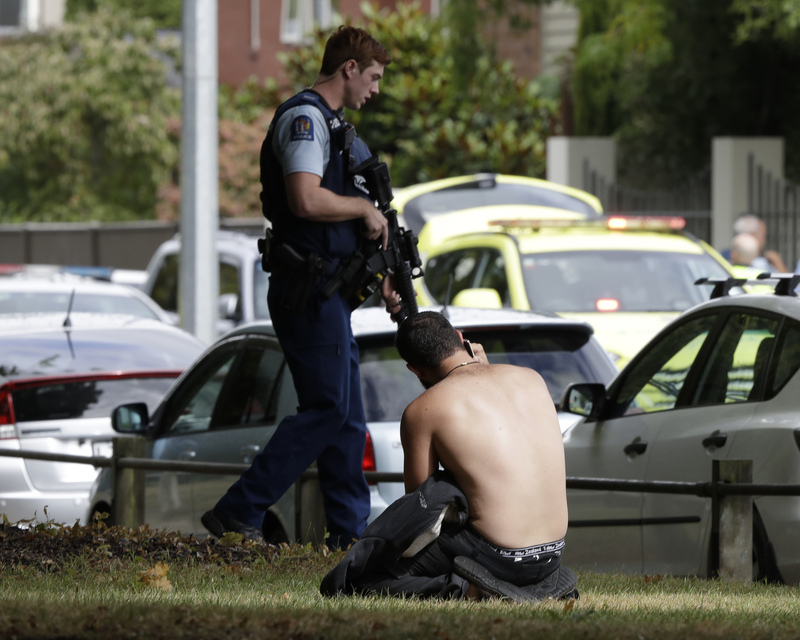 WELLINGTON, New Zealand: An international cricket match between New Zealand and Bangladesh has been canceled after players from the visiting team narrowly avoided a mass shooting at a mosque in Christchurch on Friday. "On behalf of New Zealand Cricket heartfelt condolences to those affected," White said. "I've spoken to my counterpart at Bangladesh cricket - we agree it's inappropriate to play cricket at this time. "Both teams are deeply affected. "We are shocked and appalled as I am sure all New Zealanders are. We are offering support to all those within the teams affected by the situation and are continuing to take advice from authorities on the ground." Opening batsman Tamim Iqbal tweeted: "entire team got saved from active shooters. Frightening experience and please keep us in your prayers." Performance analyst Shrinivas Chandrasekeran, also on Twitter, posted: "Just escaped active shooters. Heartbeats pumping badly and panic everywhere." Player Mushfiqur Rahim posted "Alhamdulillah Allah save us today while shooting in Christchurch in the mosque. We (were) extremely lucky ... never want to see this things happen again ... pray for us." Mario Villavarayen, a strength and conditioning coach with the Bangladesh team, told New Zealand media the players did not see the shooter but heard shots. He said they were shaken but unhurt. "I spoke to one of them shortly after," Vllavarayen said. "They were at the ground and just started running. The coaching staff were all at the hotel." New Zealand Cricket said all players and support staff were "safe and accounted for," and a Bangladesh team spokesman later said all players had returned to the team hotel. The Bangladesh players reportedly left the bus and fled on foot to nearby Hagley Oval, where the test match against New Zealand had been scheduled to be played. Mohammad Islam, a journalist traveling with the Bangladesh team, told The Associated Press the team was meeting Friday night to discuss when they might leave New Zealand. He expected they would depart as soon as arrangements could be made. Players were shaken, distressed and in no mental state to consider playing cricket. 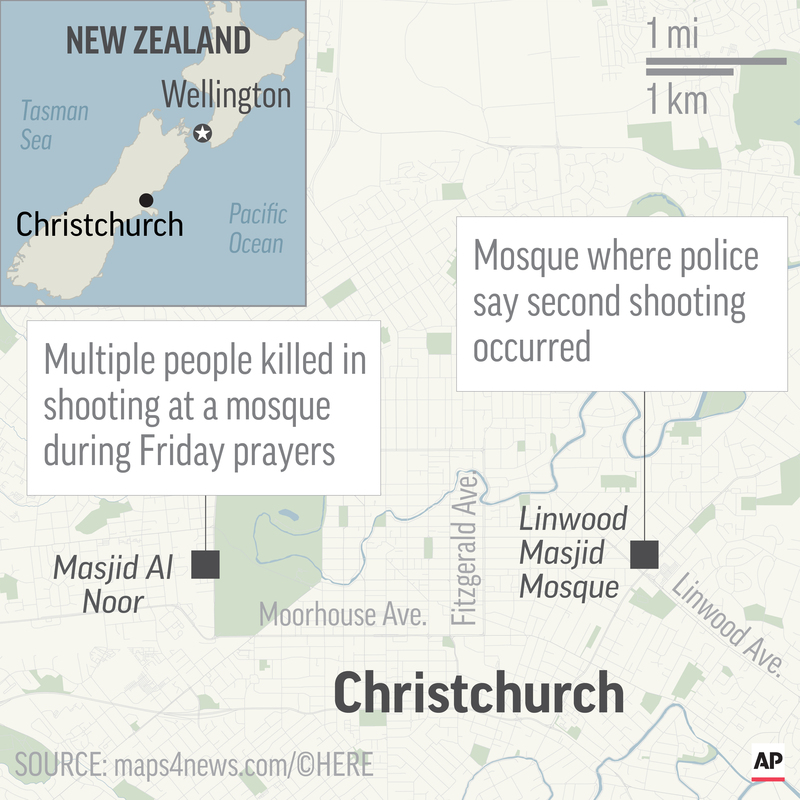 Islam confirmed some players and coaching staff were traveling by bus to the mosque which is close to the center of Christchurch city and also close to Hagley Oval where the third test was to be played. As the players arrived at the ground they heard but did not see the shooting taking place. The players were kept on the bus by police but later allowed to leave and to walk to Hagley Oval where they were kept under lockdown.